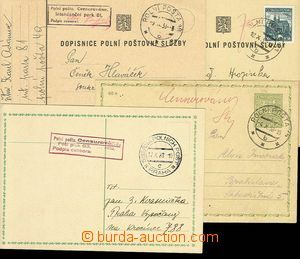 1938 Reg letter with FP-postmark 10/ 17.XI.38 supplemented with FP cachet cancel. 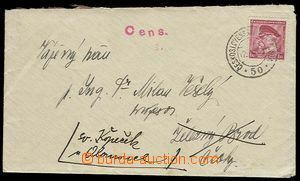 Bordermen's batt./guidon 28, handwritten R "label". Without damage. 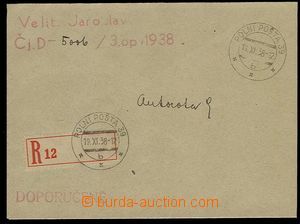 1938 Reg letter with FP-postmark 57/ 13.XI.38, supplemented with FP cachet cancel. 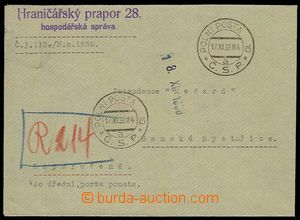 Sborový proviantní fold 11., handwritten R "label", arrival postmark FP 24/ 16.XI.38 on face-side Vert. fold.